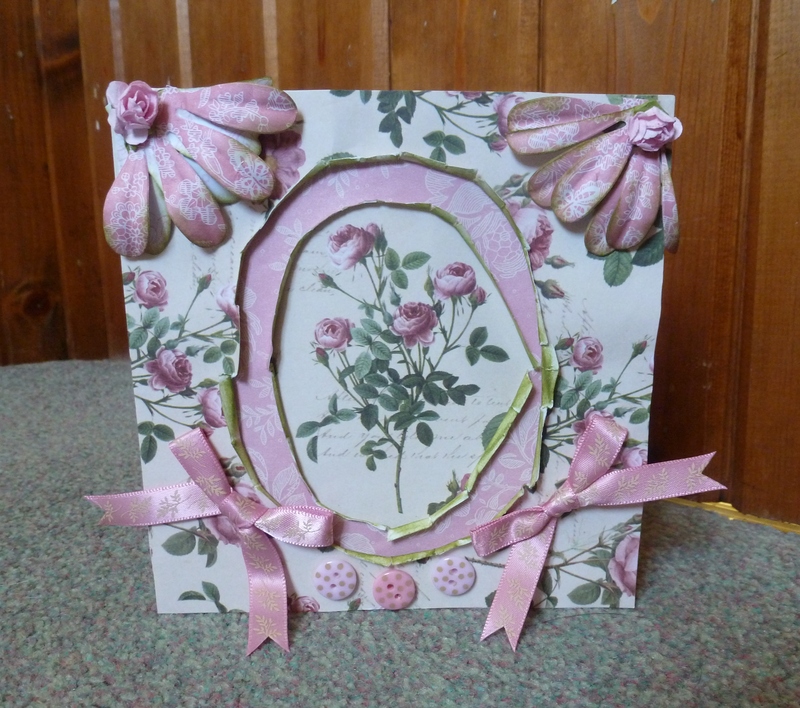 This is a pink shabby chic card I made for docrafts. Three layers of paper here. 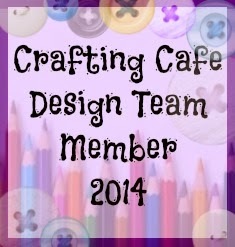 Used backing paper with the rose design in the middle to fit into my hole. I made holes in the paper and curled them over. I used Botanical paper with Wild Rose Papermania Capsule papers, and bows. Hope you like it. Wow! You’ve been quite busy. I love them all. Thank you Sarah thats very kind of you!